We provide flexible, turn-key lab & office space, entrepreneurial support, community resources, and access to deep tech seed capital. 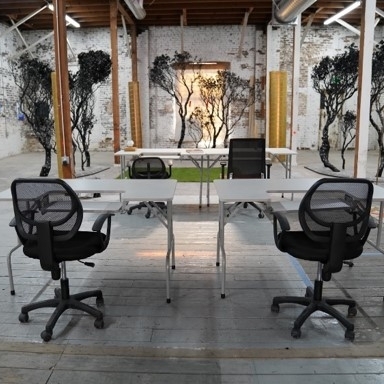 Mothership’s first lab opened its doors in September 2018 in the Arts District in Downtown Los Angeles. Surrounded by urban artists, underground streetwear brands, and cutting edge startups, we are a proud part of the neighborhood’s revitalization. Access to turnkey BSL-2 wet lab. Start running experiments immediately! We’re looking for entrepreneurs and scientists who are solving the world’s biggest problems to join the Mothership community. Currently, we have openings in our downtown LA location, with additional lab spaces coming next year. What sort of facilities and equipment do you need? How did you hear about Mothership?